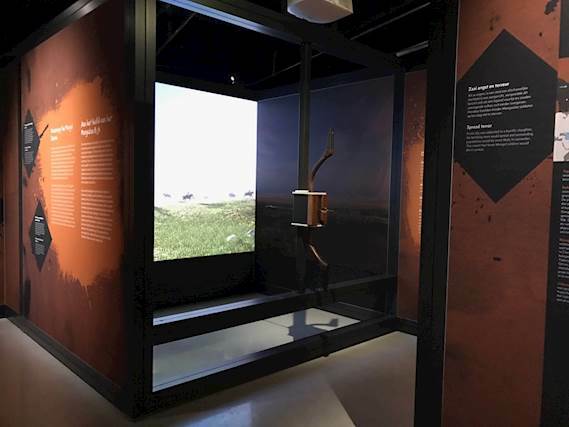 Задача: The National Military Museum in the Netherlands wanted an impressive interactive centrepiece for an extraordinary exhibition on Genghis Khan, his descendants, and their legacy. Решение: ay-pe designed and developed a game in partnership with New Moon Games that invites visitors to use an interactive bow, simulating the tribe warfare of that era. Installed by Fusion, the game is driven by a high performance PC with an Nvidia GTX1080 graphics card and projected onto a two-metre wide screen from an Optoma X605 ProScene projector.